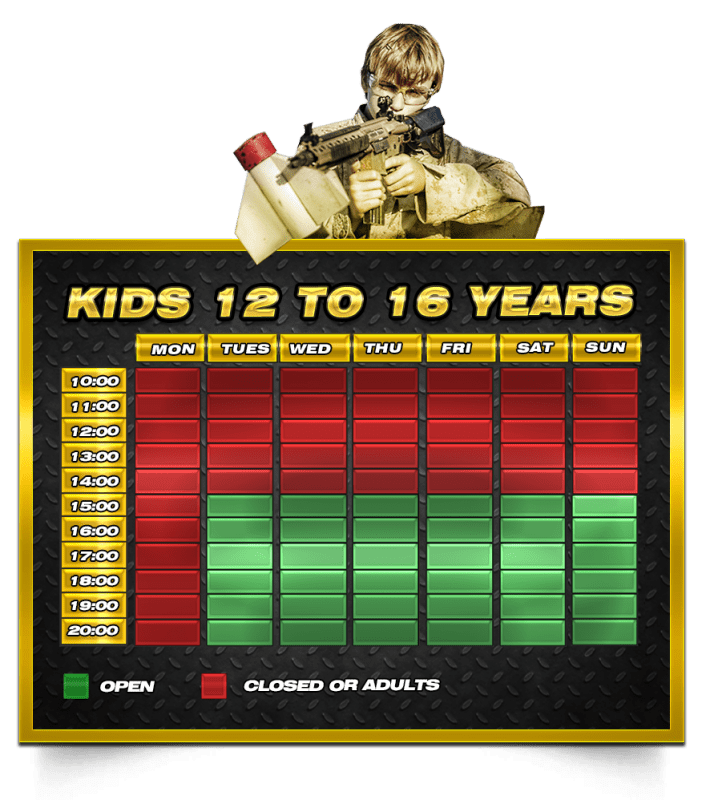 Players aged 16 or over can play from Tuesdays to Fridays in the afternoon (15:00 to 20:00) and on weekends and some holidays (10:00 to 20:00). Children from 12 to 16 will be able to play every afternoon (tuesday to sunday), from 15:00 to 20:00. In case there are lot of customers, usually every Saturday, games are made by rounds separating children and adults. We can open the park exclusively for your group from Tuesdays to Fridays in the morning with a minimum of 20 players and with a 50% advance payment to confirm the reservation. The shooting gallery is always available during the opening hours of the park.